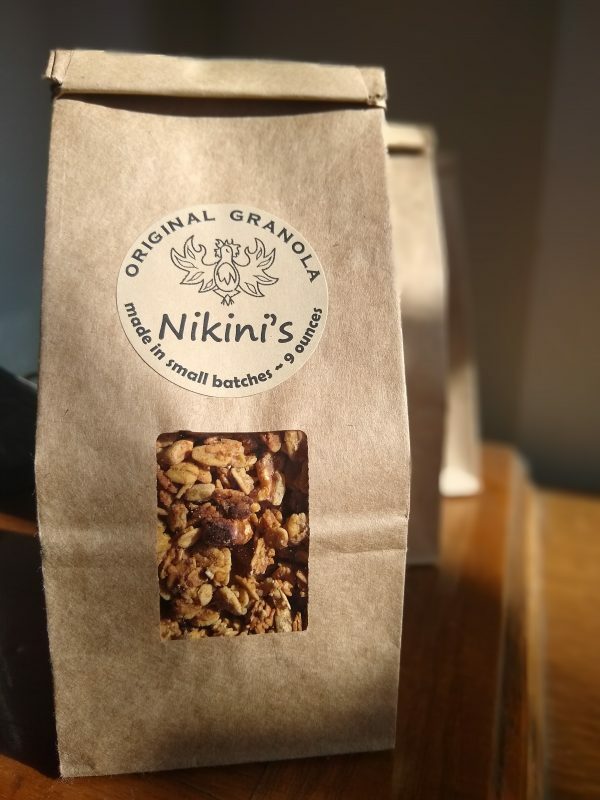 Crunchy granola that tastes great and is good for you! We’ve been making it for years and years and decided it was time to share the goodness. Perfect in a breakfast bowl, in yogurt, on ice cream or as a snack right out of the bag. Our Original Granola is made with real ingredients, nothing artificial: organic oats, sunflower seeds, walnuts, maple syrup, honey, and real spices. Made in a kitchen that uses nuts, legumes, eggs and wheat.